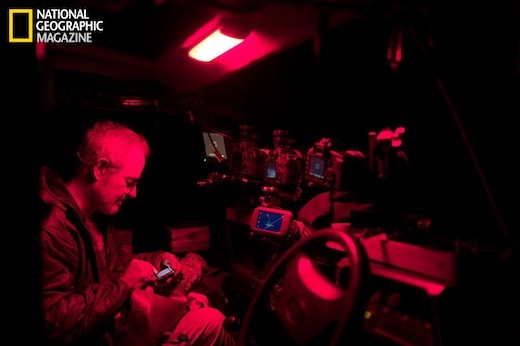 National Geographic recently launched a new section on its website called Field Test, giving readers a pretty unique look at the behind-the-scenes stories from its photographers. Starting out with photographer Michael Nichols, National Geographic’s Field Test takes us into the heart of Africa, in the Serengeti National Park in Tanzania, giving us a little bit of insight into how the up-close-and-personal wildlife photos are taken, what technology was used, and of course, we get to see some gorgeous photography in the process. The section not only gives insight into the amazing innovations in the field of wildlife photography, as is shown in the image above, but the photographer has also had the chance to convey his personal thoughts through dispatches sent to National Geographic, with about 15 already posted. The gadgets you’re going to come across in Field Test go much further than just using hefty DSLR cameras. 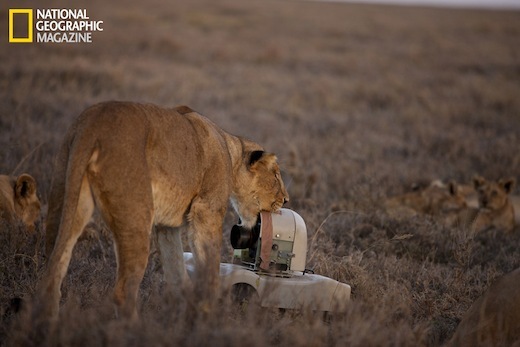 In order to get close-up shots of the Serengeti lions, Nichols and his team use a micro-copter, a remote-controlled toy helicopter which can carry a still camera, and literally dangle it right over the heads of the lions to get shots like the one you see below. It doesn’t end there. 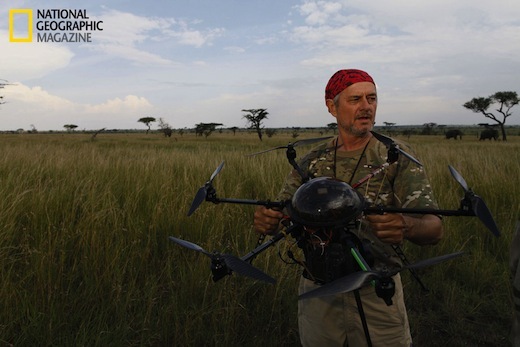 The team has at its disposal a remote controlled car, digital cameras modified to shoot infrared images at night, and most interesting of all, camera traps that have been modified to suit the photographer’s needs. The stunning wildlife photos featured in Field Test are all the more fascinating knowing what technology was used to capture those images, and accompanied with Nichols’ personal accounts of each day, makes it a must-see for any photography buff.